Alex Rins laid down a marker to the Moto2 field ahead of qualifying by leading the way in final practice from Johann Zarco by almost four tenths of a second. The Spaniard set his time on his final lap of the session but looked fast and consistent throughout. With just over half a second splitting the top six this weekend's race has the makings of a highly competitive affair but Rins looks to have the edge at the moment. 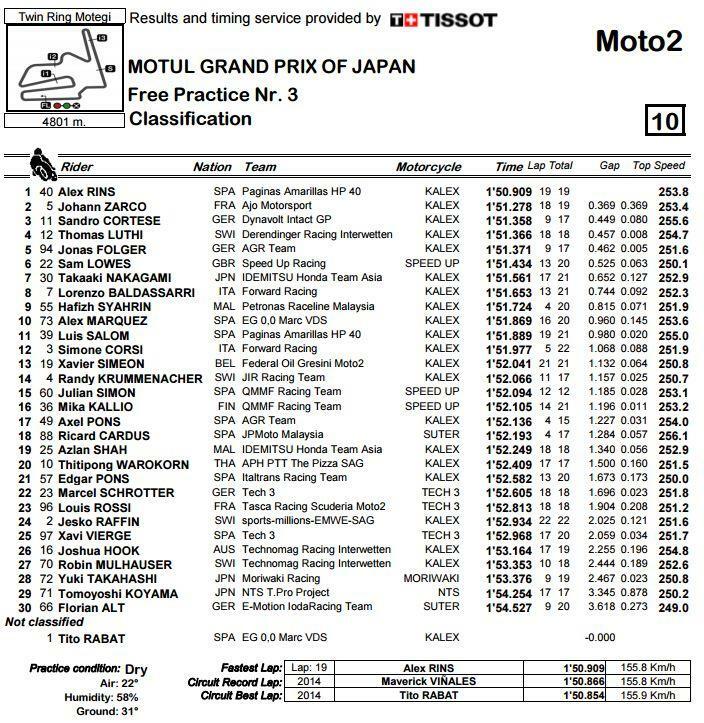 Sandro Cortese was an encouraging third quickest ahead of Motegi specialist Thomas Luthi, Jonas Folger and Sam Lowes.